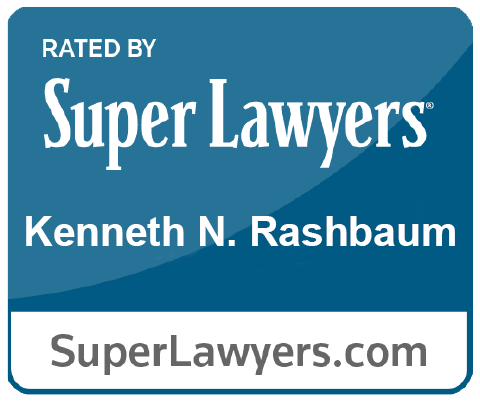 Kenneth N. Rashbaum advises multinational corporations, financial services organizations and life sciences organizations in the areas of privacy, cybersecurity, e-discovery for litigation and regulatory proceedings and information management. He counsels these entities on information governance and its compliance with federal, state, and non-U.S. laws and the interface of e-commerce and legal and regulatory liabilities in areas such as cybersecurity and breach response. Ken has vast experience in preparation of provisions in contracts, service level agreements and license agreements relating to compliance with data protection and privacy laws in the U.S. and other countries. He also leads information security and data breach response assessments, investigations and remediation initiatives; prepares policies for social media legal and regulatory compliance; and represents technology and life sciences organizations in federal and state investigations and audits, and in litigation. Ken is a Distinguished Neutral on the Cyber Panel of the International Institute for Conflict Prevention and Resolution (“CPR”). In this capacity, he serves as a mediator in breach of contract disputes that arise from data breaches, claims of trade secret theft and disputes over cyber risk insurance coverage. Ken also serves as special e-discovery counsel for complex litigation and in matters in which electronic evidence from beyond the U.S. is required. He has been recognized internationally as a thought leader in electronic discovery and disclosure, and has served as national e-discovery counsel for multinational pharmaceutical corporations and global e-discovery counsel in products liability and IP litigation. Ken was appointed to the faculty of the Federal Judicial Center for its September, 2010 session and the Georgetown Advanced E-Discovery Institute (November 2009 and December 2012 sessions) to lead sessions on international e-discovery issues and challenges. “Connecting Bridges and Borders: Company Collaboration in Today’s Competitive Market” Conference. Budapest, Hungary. (October 16, 2018). “General Data Protection Regulation: A Corporate Counsel’s Guide to Advising their Clients on GDPR.” Global Cyber Institute Webinar. (June 8, 2018). Testified before the New Jersey Homeland Security & State Preparedness Committee. (May 22, 2018). “GDPR: A European Privacy Conundrum or a Business Opportunity for US Companies?” Clear Law Institute Webinar Series. (January 8, 2018). Cybersecurity Regulations for Financial Services.” Investment Adviser Association Webinar Series. (April 20, 2017). “Cybersecurity 2.0: What Can Boards Do Besides Lose Sleep?” National Association of Corporate Directors, New Jersey Chapter. (February 2017). “Managing Information Risk in an Evolving Regulatory World. Legal Tech New York. (February 2017). “Episode 9: Pokemon Sun and Moon Leaks.” Fordham Intellectual Property, Media & Entertainment, Law Journal Podcast.” (November 2016). “Technology and the Law: Adapting and Providing Value, a Conversation with Kenneth Rashbaum.” Legal Marketing Studio Podcast. (October 31, 2016). “Defending and Enhancing Operational Integrity in Today’s Cybersecurity Landscape.” Minolta Konica All Covered Cybersecurity Program. Microsoft Event Center, New York, NY. (October 26, 2016). Advanced Cybersecurity Law.” Pennsylvania Bar Institute. Philadelphia, PA. (June 1, 2016). “Cross-Border Discovery and Information Management Times Are A-Changing.” Ing3nious Southeast eDiscovery and Information Governance Retreat. Atlanta, GA. (May 22-23 2016). “Managing Vendor and Business Partner Cybersecurity Risks and Liabilities” Clear Law Institute. Philadelphia, PA. (April 26, 2016). “What Happened to the US/EU Safe Harbor? The Tension Between Privacy and Business Efficiency for Multinational Companies.” LegalTech 2016. (February 4, 2016). “Game Changer: Effects of the EU Safe Harbor Decision.” LegalTech 2016. (February 3, 2016). “cybersecurity in Health Law: Protecting Patients and Providers.” New York Law Journal Webinar. (October 20, 2015). “Cyber Fraud: Fight Back!” REBNY. New York, NY. (April 23, 2015). “eDiscovery Speaker Series: Responding to Government Investigations.” Driven Inc. Speaker Series. New York, NY. (April 22, 2015). “Department Store Issues.” Federal Bar Association’s Fashion Law Conference. New York, NY. (March 20, 2015). “Aligning the Values and Costs of Litigation Services.” Managing Litigation as a Business. Houston, TX. (February 18, 2015). “The New Normal: Revisiting the Transatlantic Relationship.” International Bar Association Conference. New York, NY. (January 29, 2015). “Ethics Challenges in Management of IP Litigation.” Managing Litigation as a Business. Phoenix, AZ. (January 22, 2015). “Lock Out Cyber Crime: A Cybersecurity Workshop.” Barton LLP and CSA2. New York, NY. (January 13, 2015). “Exploring the Security of the Internet of Things: Trust Comes First.” Internet of Things Innovation Summit. CLSA. New York, NY. (December 12, 2014). “Do You Know Where Your Data Is: A Cybersecurity Workshop.” Barton LLP and CSA2. New York, NY. (December 8, 2014). “Healthcare Regulatory and Litigation Readiness.” RVM Education Center. New York, NY. (September 18, 2014). “HIPAA & Secure Information Governance – Myths, Realities & Practical Solutions.” Webinar. (September, 2014). “Knowledge Group: Cyber Insurance – What You Need to Know in 2014.” Webinar. (July, 2014). “Do the Right Thing in Cyber-Space: Ethics in the Digital Age.” Chicago Bar Association. Chicago, IL. (September, 2013). “Cyber-Security: Legal Obligations, Precautions and Best Practices.” ABA Section of International Law-Israel Bar Association Joint Conference. Eilat, Israel. (May 2013). “First Do No Harm: Preserving and Admitting Foreign ESI.” Georgetown Advanced e-Discovery Institute. (December, 2012). “Silicon Alley South: Cyber-Compliance and Risk Management For the Burgeoning Technology Sector in South and Central America.” American Bar Association Section of International Law, Fall Meeting. (October, 2012). “Where Are Your Data Tonight? Social Media and Economic Espionage.” American Bar Association Section of International Law, Spring Meeting. (April, 2012). “Privilege In Electronic Communications.” New York City Bar Association. (February, 2012). “Customs Stations On The Life Sciences Information Highway: Trans-Border Privacy and Data Protection.” New York State Bar Association-Ontario Bar Association Meeting. Toronto, Ontario. (March 2012). “The Crossroads of Incident Response Planning and Data Breach Notification Obligations.” Master’s Conference. Washington, D.C. (October, 2011). “A Perfect (Electrical) Storm: The Electronic Health Record in Litigation and Oversight Proceedings.” AHRM-NY. (December, 2010). Quoted in “The GDPR Revolution – What Smart Companies Should Be Doing to Get Ready.” Forbes.com. (May 23, 2018). Quoted in “Did EP Override Safety Prompt for No Apparent Reason? Its’ a Hurdle for Defense.” ED Legal Letter. (March 2018). “Growing Demand for Mediation of Date Breach Disputes.” Law360. (July 17, 2017). “Thomson Reuters’ Westlaw Journal. (June 30, 2017). “Cybersecurity for Law Firms: Business Imperatives Update 2017.” New York Law Journal. (March 6, 2017). “Get Ready for More Cyber Litigation.” Today’s General Counsel. Volume 14, Number 1. (Feb/March 2017). Quoted in “FINRA Penalties Show Growing Regulatory Focus on Cyber.” Wall Street Journal Pro. (February 6, 2017). “Data Breach Litigation Wave in 2017.” Today’s General Counsel. Volume 13, Number 6. (Dec/Jan 2017). Quoted in “What Happens When an OSJ Doesn’t Safeguard the Cloud?” Financial Planning. (November 16, 2016). “Foreign Acquisition if U.S. Companies: State Cybersecurity and Privacy Laws Expand the Scope of Due Diligence by a Geometric Factor.” Co-Authored with George H. Wang, Partner, Barton LLP. Lexis Practice Advisor® & Law360. “Pablo Star, Ltd., et. al., v. The Welsh Government, et. al.” e-Commerce Law Reports. (June 2016). “Cybersecurity Counsel For The Board: Good Business And Self-Protection.” Financier Worldwide Magazine. (June 2016). “Kenneth Rashbaum on Today’s Privacy Concerns.” LIFARS. (March 30, 2016). “The Law Requires It, But Customers Demand It: Cybersecurity and Privacy are Good Business.” Financier Worldwide. (April 2016). Quoted in “Common registration practices cause big problems with HIPAA.” Hospital Access Management. Volume 35, No. 3. (March 2016). “Apple Might Be Forced To Reveal & Share iPhone Unlocking Code Widely.” Techdirt. (March 9, 2016). Quoted in “Experts Weigh in on Shifting EU U.S. Data Transfer Paradigm.” Legaltech News. (February 5, 2016). Quoted in “Privacy Shield is here, now orgs., lawmakers must take action.” SC Magazine. (February 4, 2016). Quoted in “Data breach, class action lawsuit prompt Georgia IT policy review.” Statescoop. (November 25, 2015). “European Court of Justice rules U.S. – EU ‘safe harbor program’ invalid.” Westlaw Journal Computer and Internet. Volume 33, Issues 11. (November 6, 2015). Quoted in “Safe Harbor Ruling May Hamper US Law Enforcement Overseas.” The Hill. (October 11, 2015). “Litigation Wave Coming: Cybersecurity Breaches Are the Trigger.” Today’s General Counsel. Volume 12, Number 4. (August 2015). “Cybersecurity Risks to CPA Firms.” (Yigal Rechtman, CPA – co-author). CPA Journal. (May 2015). “Data breaches: Response and risk-mitigation requirements,” Westlaw Journal Computer and Internet. Vol. 32, Issue 24. (May 7, 2015). “HIPAA Security Rule – Demystified,” (Yigal-Rechtman, CPA, co-author), CPA Journal, (April 2015). “Close the Side Doors to Hackers: Asses Supply Chain and Vendor cybersecurity Safeguards to Protect Your Business.” (Art Krulish, co-author). Fashion Mannuscript. (April 2015). “Net Neutrality Vote Introduces A New Player In The Privacy Game: The FCC,” Thomson Reuters Legal Solutions Blog, (March 19, 2015). “U.S. Legal Holds Across Borders: A Legal Conundrum” cited in U.S. District Court decision of Lunkednheimer Co. v. Tyco Flow Control Pac. Party Ltd. 2015, Footnote 19. (February 12, 2015). “Cybersecurity: Business Imperative for Law Firms.” (Liberty McAteer and Jason Tenenbaum, co-authors). New York Law Journal. Vol. 252, Issue No. 111. (December 10, 2014). “Business cybersecurity with Ken Rashbaum.” (Dave Goodwin). The Growing Entrepreneur. (October, 2014). “The Trouble with Electronic Records.” (Dan Goldberg). Capital. (August, 2014). “Facebook’s Controversial Emotion Study May Raise FTC’s Ire.” (Allison Grande). Law360. (July, 2014). “Retailers Face Pitfalls In Effort To Share Cyberthreat Info.” (Allison Grande). Law360. (June, 2014). “SEC’s The New Sheriff In Town On Cybersecurity.” (Allison Grande). Law360. (June, 2014). “Outrun the Lions: A Practical Framework for Analysis of Legal Issues in the Evolution of Cloud Computing.” (Borden, Bennett B. and Beaumont, Theresa H., co-authors). Ave Maria Law Review. 12 Ave Maria L. Rev. 71 (2014). “The Cloud and the Small Law Firm: Business, Ethics and Privilege Considerations: A Report of the Small Law Firm Committee of the New York City Bar.” (Ashwini Jayaratnam, David Caplan, Tudor Capusan and William Aronin, co-authors). New York City Bar Association. (October, 2013). “Trial Practice Management.” chapter, eDiscovery for Corporate Counsel. (Hon, Paul W. Grimm, USDJ (D-Md.) and Jason M. Tenenbaum, co-authors). Thomson Reuters West. (2013). “Admissibility of Non-U.S. Electronic Evidence” (Knouff, Matthew F. and Murray, Dominique, co-authors). Richmond Journal of Law and Technology. VXIII Rich. J. L. & Tech 10 (2012). “U.S. Legal Holds Across Borders: A Legal Conundrum?”(Knouff, Matthew F. and Albert, Melinda C., co-authors). North Carolina Journal of Law and Technology. Vol. 13, Issue 1, (Fall 2011). “EHR Templates: Time Savers Or Patient Safety Risk?” Medical Economics. (October 2011). “Managing the Unmanageable: E-Discovery and Electronic Health Information.” American Bar Association EDDE Journal. Vol. 1, Issue 4. (Autumn, 2010). The Sedona Framework For Analysis of Cross-Border Discovery Conflicts: A Practical Guide To Navigating The Competing Currents Of International Data Privacy And Discovery. The Sedona Conference®. Working Group 6 (Co-Editor-In-Chief). (August 2008).